The ad also touts a talk on Iran this week in Washington hosted by Rabbi Shmuley Boteach, the New Jersey-based author and pro-Israel advocate. Senator Ted Cruz (R-TX) and Rep. Brad Sherman (D-CA) will meet with Nobel Peace Prize Winner Elie Wiesel on Monday prior to Israeli Prime Minister Benjamin Netanyuhu’s speech to Congress on Tuesday. These passages are the foundation of Israel's self written "deed" to the land of Palestine. If they are not ALL true, then the entire "claim" to Palestine, in the book THEY WROTE, IS NOT TRUE. Deuteronomy 15:6 "For the LORD thy God blesseth thee, as he promised thee: and thou shalt lend unto many nations, but thou shalt not borrow; and thou shalt reign over many nations, but they shall not reign over thee." Nazis SELF-anointed "The CHOSEN People of GENETICS". For modern day reinforcement of these "rules" research/google "the KINGS TORAH"
If Israel wants help from we taxpayers of our USA, they should stop their ethic cleansing of Palestine. that's right, genocide is only okay when Israel is annihilating the Palestinians, A small nation who's total existence depends on the USA, in my opinion, should shut up. If you're so against our President and our Policy Makers, feel free to reimburse the American Taxpayers and fight your own battles. God didn't say anything of the kind. A Zionist group of men who re-wrote the book to their advantage, said that. Yuck. That name alone is enough to make a person queasy..
You forgot to mention the Jewish genocides in Gaza! 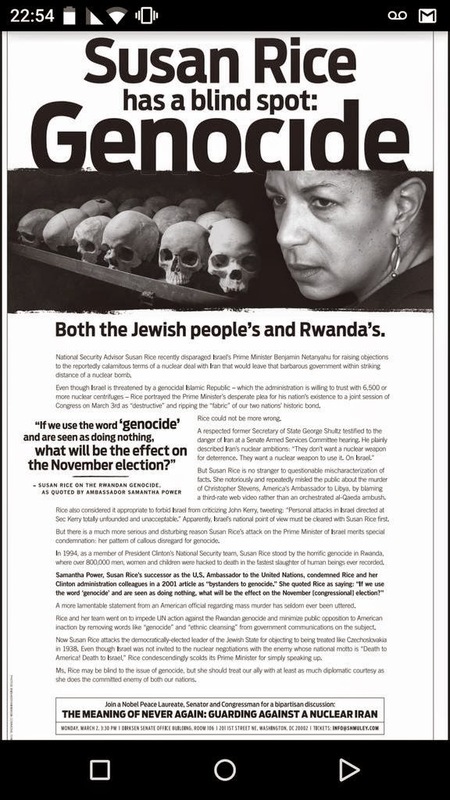 Don't forget the numerous genocides committed by UK/US.